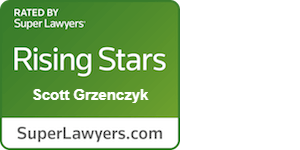 Scott Grzenczyk dedicates his practice to representing plaintiffs in antitrust and consumer protection matters. He has wide-ranging experience in all aspects of complex litigation and has served as a member of leadership teams that have recovered hundreds of millions of dollars for the firm’s clients. 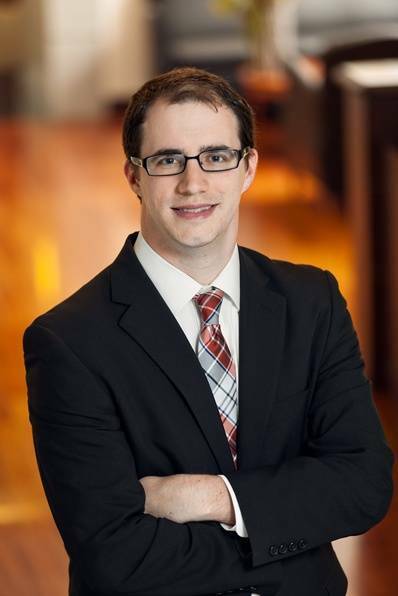 Scott brings a tireless work ethic and a practical, results-oriented approach to his cases. For several years, Scott has represented union health and welfare funds in cases alleging that large, multinational drug companies illegally inflated the price of prescription drugs. He has an in-depth knowledge of the pharmaceutical industry and the unique challenges that come with prosecuting antitrust claims against drug companies. Scott has applied this knowledge to achieve precedent-setting recoveries, including a $104.75 million settlement shortly before trial in a case concerning the prescription drug Lidoderm. He also plays a key role in the firm’s work in the In re Restasis Antitrust Litigation and In re Generic Pharmaceuticals Antitrust Litigation cases. Scott leads the firm’s litigation efforts in a class action filed by native inhabitants of Guam bringing due process and equal protection claims against the government of Guam. He also has a track record of successfully representing consumers, including car and cell phone purchasers, in cases involving fraud and unfair business practices. During law school, Scott successfully argued a precedent-setting immigration case before the U.S. Court of Appeals for the Ninth Circuit. Served as a key member of the leadership team on behalf of consumers and third-party payers who alleged that two drug companies, Endo Pharmaceuticals and Teikoku Pharma, unlawfully paid a third, Watson Pharmaceuticals, to delay the launch of less expensive generic lidocaine patches. After obtaining certification of the end-payer class and defeating defendants’ summary judgment motion, the case settled shortly before trial for $104.75 million. A sprawling nationwide litigation alleging that many of the world’s largest drug makers conspired to prevent competition and raise prices through the pharmaceutical industry since at least 2011. Scott plays a central role in the firm’s efforts as a member of the End-Payer Plaintiffs’ Steering Committee. Member of the antitrust team that serves as court-appointed co-lead counsel in a case alleging that Allergan used fraudulent patents and baseless petitions to the U.S. Food and Drug Administration to preserve its monopoly for the drug Restasis by preventing generic versions from coming onto the market. The firm was appointed to the Executive Committees in these “pay-for-delay” cases. Scott was responsible for overseeing discovery of the firm’s clients, including defending them at their depositions. Aggrenox and Solodyn settled for $54 million and $45 million, respectively, and the Niaspan litigation is ongoing. Leads the firm’s representation of native inhabitants of Guam and their families that lost their land during World War II and did not have it returned. The suit alleges that the government of Guam, which currently occupies the land, has violated the due process and equal protection clause of the United States Constitution. The firm served as liaison counsel in litigation alleging that Hyundai and Kia misrepresented the fuel economy ratings of several of their vehicles.